As a homeowner or property manager, you take great pride in how the exterior of your property looks. If the paint on your property is peeling, cracking, or just simply fading, the experts at Priority Restoration can help. 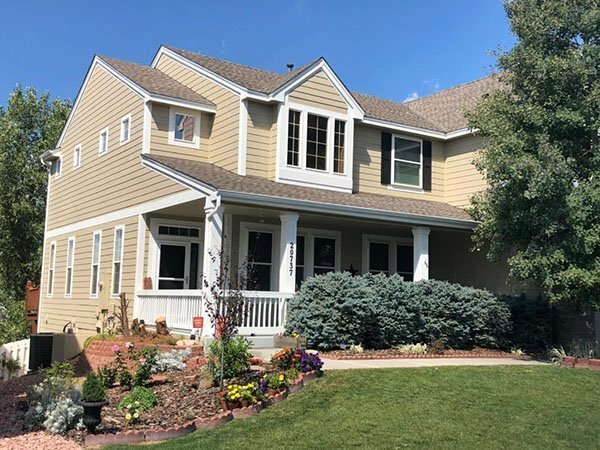 Not only does a fresh paint job increase the curb appeal of your property, but it also protects your home from the harsh Colorado weather. 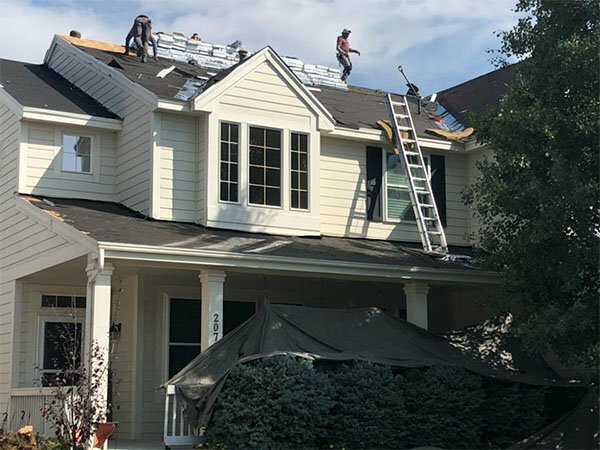 Essentially, the only defense your home or commercial exterior has against Colorado’s wind, rain, snow, hail, and sun is professional painting. If your home is unpainted, or if the paint is chipping or cracked, the harsh weather can damage the exterior and can cost you anywhere from hundreds to thousands of dollars in repair work. That is why we take full responsibility when it comes to ensuring that your home or commercial property is fully protected from the elements. Before we even put a paintbrush to your home, we prepare the exterior in order to ensure a quality and solid base for the new paint. We power wash/hand wash in full accordance to the paint manufacturer’s recommendation in order to remove dirt, dust, grime, and debris. We will scrape/sand your property in certain areas in order to remove any cracking or peeling paint. We will apply new caulk in the areas that have been worn down. We patch any nail holes. We mask all the doorways, windows, brick or any other non-paintable areas. We then use a primer on the raw surfaces. We provide our quality painting services to both residential and commercial customers. Priority Restoration puts emphasis on quality and customer service and will make your home or commercial property look great with whatever paint you choose. We ensure a perfect seal to maximize paint life while also increasing curb appeal. See who we serve. We offer start-to-finish solutions and all of our construction services are performed with high-quality workmanship. We guarantee that all of our projects are completed on time and within budget. Centennial, Greenwood Village, Aurora, Parker, Englewood, Castle Rock, Littleton, Highlands Ranch, Lone Tree, Arvada, Lakewood, Morrison, Wheat Ridge, Thornton, Westminster, Northglenn, Golden, Boulder, Loveland, Longmont, Lyons, Brighton, Commerce City, Colorado Springs, Black Forest, Peyton, Pueblo, Simla, Elizabeth, Fort Morgan, Sterling, La Salle, Adams County, Arapahoe County, Jefferson County, Boulder County, Douglas County, Elbert County.